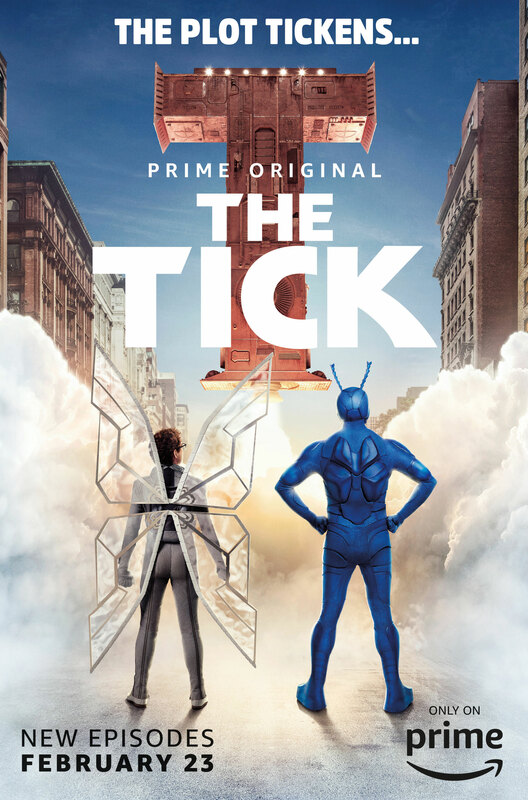 Amazon Studios has released a new trailer and poster for part 2 of season 1 of “The Tick.” The revamped “Tick” premiered last fall on Amazon Prime to good critical notice and more importantly (from our Nerdly perspective), good fan feedback. 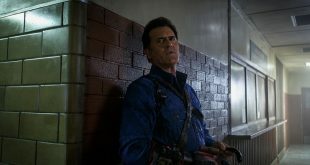 You can read my review of the first half of season one here: http://www.thenerdelement.com/2017/08/21/grown-up-tick-revels-in-absurdity/). 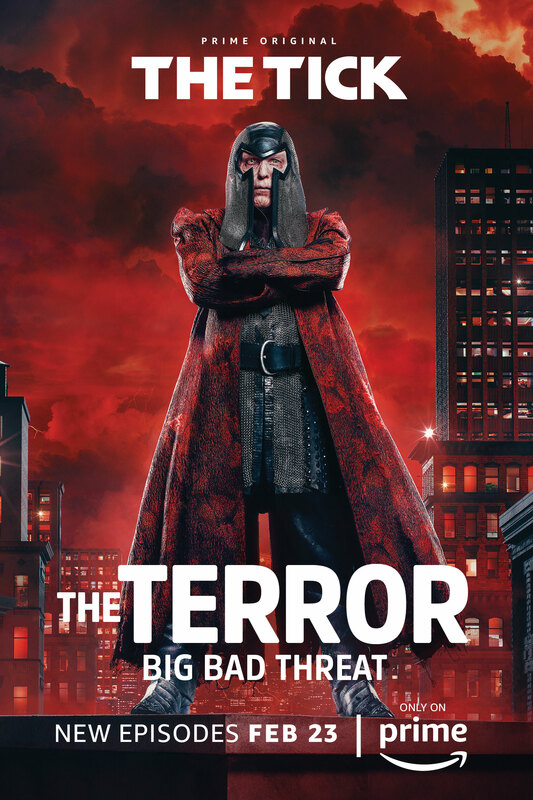 Along with the trailer and show poster, Amazon has also provided new character art for The Terror (Jackie Early Haley), The Tick (Peter Serafinowicz) and Arthur’s (Griffin Newman) main nemesis. We learned in the previously released episodes that The Terror is believed to be dead, but his fellow villain and devoted acolyte, Ms. Lint (Yara Martinez), knows otherwise. 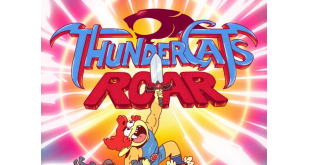 There will also be additional characters, including the mysterious Midnight (voice of Townsend Coleman, who all fans of the Big Blue Guy should recognize). New episodes of “The Tick” premiere on Amazon Prime on February 23, 2018; the first six episodes are currently available to stream. 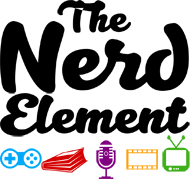 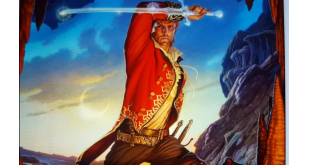 Previous TVTalk with The Nerd Element Ep 163: Why Michelle?